Sam has been involved with Memory Ball since 2013, working with Claire Poirier on design and collaborating with the sponsorship team. Why is Memory Ball a Worthy Cause? Memory Ball is a worthy cause because Alzheimer’s really does not have the awareness it should. Alzheimer’s disease and dementia affect around 500,000 Canadians and there is no cure. Every dollar donated to the Alzheimer Society of Toronto helps and hopefully there can be a cure found in our lifetime. Many people have had their lives touched by Alzheimer’s or dementia, including myself. After experiencing the disease, it is easy to understand after experiencing this why Memory Ball is such an amazing cause. Favourite Memory Ball & Why? Favourite Moment? My favourite Memory Ball has been 2014. I attended in 2013 but I was really under the weather with a cold so could not enjoy properly! 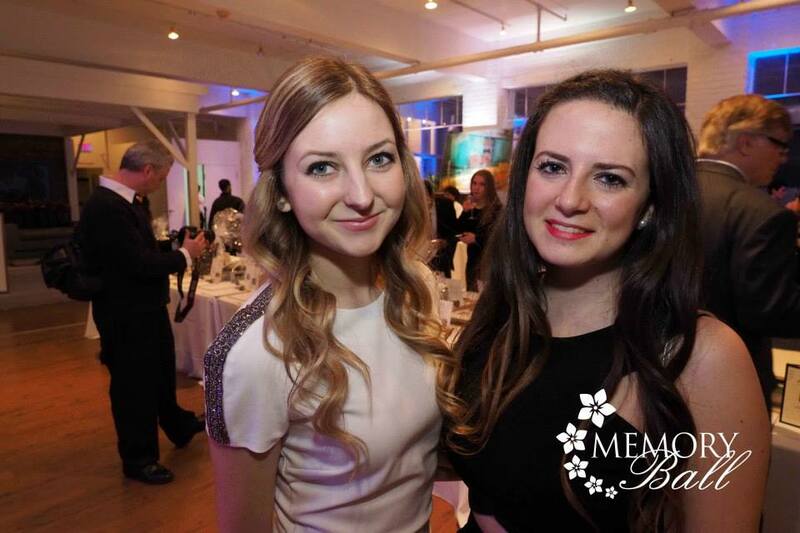 Memory Ball 2014 had an awesome crowd, great silent auction and complimentary hand massage station. I also can’t forget about the video focusing on the life of a caregiver – it was very touching. I think one of my favourite moments was making my friend take a shot at the Feature Foods vodka and herring bar. It was quite an experience! Why should young people care about Alzheimer’s?